Complete Beginner’s Guide to Kraken Exchange Review 2019 - Is it Safe? Founded in 2011, Kraken is one of the oldest and most popular cryptocurrency exchanges currently in operation. The exchange has built a reputation as being a secure destination for anyone interested in trading cryptocurrencies and it is also a popular choice for both traders and institutions across a variety of locations. Kraken retains an international appeal and provides efficient trading opportunities in numerous fiat currencies. 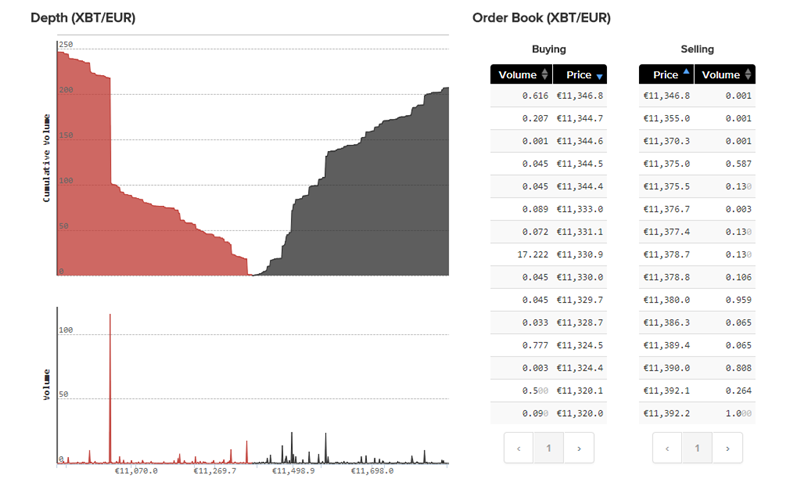 Kraken is also the current world leader in terms of Bitcoin to Euro trading volumes. Kraken was founded by current CEO Jesse Powell in July 2011 and the exchange officially launched to the public in September 2013. Based in San Francisco, Kraken has some notable achievements under its belt with 2014 proving to be pivotal for Kraken as it became the number one exchange by Euro trade volume, pioneered the first verifiable cryptographic proof of reserves audit system and was also listed on the Bloomberg Terminal within the same year. Kraken is one of the most popular international exchanges and is available to residents of the US, Canada, Japan, and various European nations. Kraken also outdoes its competition by dealing in multiple fiat currencies which include the US Dollar, the Canadian Dollar, the Euro, the British Pound, and the Japanese Yen. The company also enjoys a good reputation due to the fact that it has been resilient to major hacks and also as it was chosen as the platform by which creditors of the Mt.Gox exchange could receive their claims. After Mt. Gox filed for bankruptcy protection, the administration team chose Kraken as a reliable partner to help facilitate payments to creditors. Kraken also operates a dark pool, which is a private securities exchange that allows large financial institutions and high net worth individuals to make anonymous trades. Functionality – Kraken provides a basic interface and detailed documentation to help beginners in addition to providing charting geared towards more advanced traders. There is also an iOS mobile app which makes the platform easily accessible across a number of devices. Liquidity– Kraken boasts a high level of liquidity and this allows for the fast funding of accounts and high trading volumes. The exchange also undertakes Proof of Reserves Audits and leads the way in performing cryptographically-verified auditing. Security – Kraken incorporates cold storage techniques in order to secure funds as well as using PGP/GPG encryption. 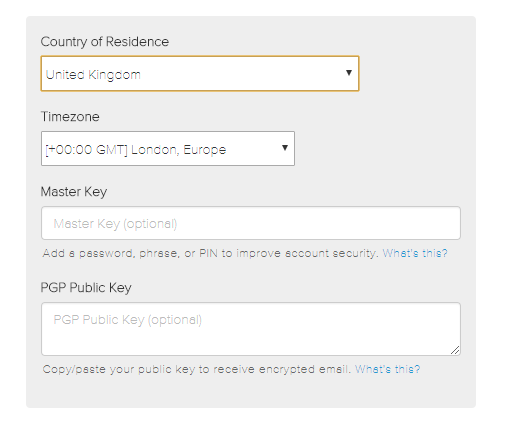 The platform also offers two factor authentication, a master key, and a global settings lock to help maximize user security. Trading Options – The platform allows for Bitcoin Margin Trading with leveraged trading of up to 5x with shorting. Kraken also provides advanced order types such as stop-loss orders and automated trading. International Availability – The exchange is currently available in the US, Canada, Japan, and various European nations. Kraken also offers over 47 market pairs with 7 base currencies which include the US Dollar, the Canadian Dollar, the Euro, the British Pound and the Japanese Yen. The platform also provides support that is available 24 hours a day, all year round. Kraken is most well known for its Bitcoin and Ethereum to cash (EUR and USD) markets; however a wide range of both fiat and cryptocurrencies are tradable on the platform. Popular cryptocurrencies such as Bitcoin (XBT), Ethereum (ETH), and Tether (USDT) are offered as well as currencies such as Bitcoin Cash (BCH), Monero (XMR), Dash (DASH), Litecoin (LTC), Ripple (XRP), Stellar/Lumens (XLM), Ethereum Classic (ETC), Augur REP tokens (REP), ICONOMI (ICN), Melon (MLN), Zcash (ZEC), Dogecoin (XDG), Gnosis (GNO), and EOS (EOS). Bitcoin generally uses the abbreviation of BTC; however, Kraken assigns Bitcoin with an abbreviation of XBT. Kraken allows for deposits and withdrawals via CAD, EUR, GBP, JPY, and USD, with fiat currency payments being conducted via Bank Transfer. For users with a bank account within the European Economic Area, the SEPA payment system is also supported. Kraken also allows for margin trading on these currency pairs: XBT/EUR, XBT/USD, ETH/XBT, ETH/USD, ETH/EUR, ETC/XBT, ETC/ETH, ETC/USD, ETC/EUR, REP/XBT, REP/ETH, REP/EUR. Kraken provides a comprehensive guide to its trading fee structure. While it can be quite complex, the majority of trades which fall under 50,000 in volume of your particular currency, incur a maker fee of 0.16% and a taker fee of 0.26%. These fees apply for all Bitcoin trades made via the fiat currencies supported on the site such as USD, EUR, JPY GBP, and CAD. The same fee structure also applies to the majority of altcoin trading pairs. For trading volumes greater than 50,000, the fees drop to 0.14% and 0.24%. Fees continue to drop in relation to volume way up to any trading activity greater than 10,000,000, at this point fees are as low as 0% (makers) and 0.10% (takers). Fees are charged on a per-trade basis, and trading volumes are calculated for trades made within a 30 day period. Tier 3– Higher levels of fiat currency funding are available to Tier 3 clients. This tier requires a valid Government ID and a recent proof of residence. This tier is also required in order for users in the US, Canada, Germany, Japan, and some other countries to deposit fiat currencies. Certain funding options also require a photo ID confirmation. Tier 4– Allows for the highest levels of funding limits. 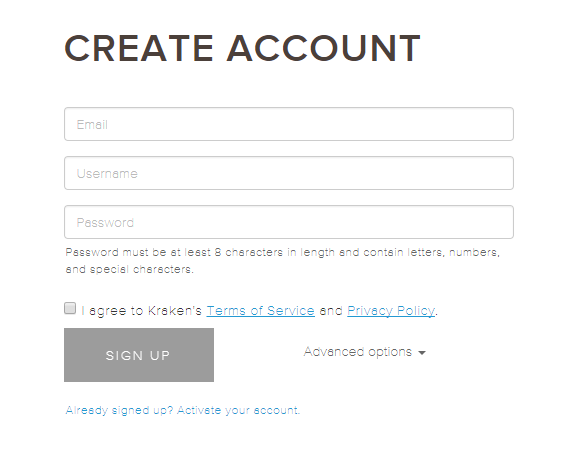 Kraken provides both individual and corporate Tier 4 accounts and the documents required for Tier 4 individual accounts include a signed application form and KYC documents. Tier 1 users can deposit and withdraw cryptocurrencies as well as trade in cryptocurrencies and fiat currencies. There is no deposit limit; however, withdrawals are limited to $2,500 per day and $20,000 per month. Tier 2 users can deposit and withdraw fiat currencies depending on where they reside. For Tier 2 users, deposits and withdrawals in fiat currency are limited to $2,000 per day and $10,000 per month. Cryptocurrency withdrawals are capped at $5,000 per day and $50,000 per month. Tier 3 users can deposit and withdraw cryptocurrencies and fiat as well as engage in margin trading. Fiat deposits and withdrawals are limited to $25,000 daily and $200,000 monthly. Withdrawals in digital currencies are limited to $50,000 per day and $200,000 per month. Countries such as the US, Canada, Japan, and Germany, require a Tier 3 verification in order to deposit and withdraw in fiat currency. Tier 4 users have the highest funding limits available on the platform. Tier 4 users can be both individual and corporations and are best advised to contact the support department in order to clarify their requirements. A lot of cryptocurrency exchanges have been struggling to cope with demand in the last few months due to a huge influx of new customers and Kraken is no exception. The platform became notorious for site outages and other problems. 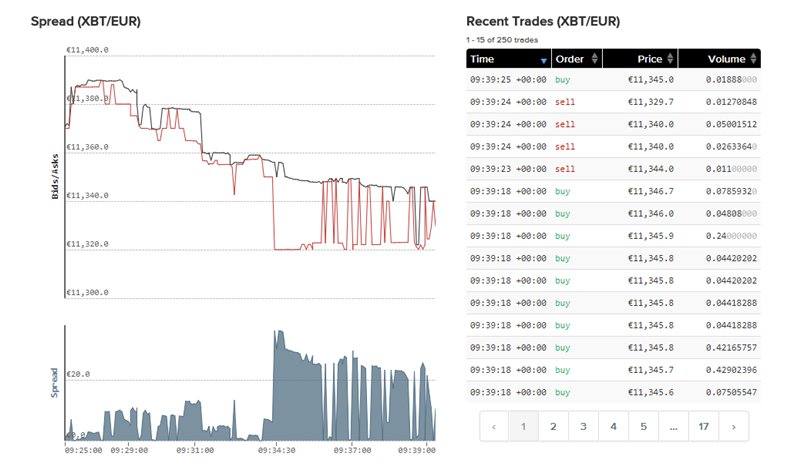 To counter this, Kraken went offline to install a new trading engine. Unfortunately the process which was supposed to take a couple of hours ended up taking 2 days, prompting a lot of panic among their users and fears that the exchange might be closing for good or even performing an exit-scam. The team did keep in touch with it’s users via social media during the down-time and the platform eventually came back online. After a few initial hiccups, the new engine seems to be performing a lot better than the old version and is handling trading much more effectively with less errors and other problems. As an apology to their members, Kraken announced that all trading is free until 31st January 2018. Kraken has been in operation since 2011, and is older than its main competitors Coinbase and Gemini. As a result, Kraken has spent a number of years building its reputation among members of the cryptocurrency world. The exchange is now viewed as being one of the most reliable by many international cryptocurrency traders. Kraken provides a secure platform and operates a lower fee structure than Coinbase. The exchange also appeals to both individuals and institutions and allows access to a robust, comprehensive trading platform. 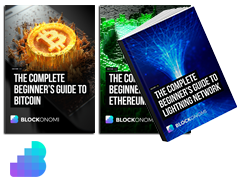 For users with an intermediate understanding of how to trade cryptocurrencies, limit orders, as well as advanced orders with predefined triggers, leveraged positions, margin trading, and short selling are all available on the platform. While the exchange is respected and used by both parties of various income levels, Kraken has some work to do to improve its overall user experience. Due to a recent surge in new registrations the lack of extensive customer service options has become apparent. New registrations may also have to wait for over a week for their documentation and accounts to be fully verified. Despite this, Kraken provides a valuable service to cryptocurrency traders across the globe and remains a viable option for anyone looking for a trusted and reliable exchange. 1)Does Kraken accept trading Ox (ZRX) and Factom (FCT)? 2)Could those security be stored on a Nono Ledger S.? Question: Would it be wise to use Kraken as an exchange and a wallet – i.e. I am not interested in trading. I am in US so the wire transfer deal is nice. Hay…this is ben jones from Miami USA. i want to Know that what kraken exchange also use like as a wallet? HI, I would like to know is there any minimum amount limitation for margin trading?